Life has gotten a lot more convenient over the past decade thanks to our friend the Internet. Today, we can shop for clothes, groceries, and just about anything else online, do our banking with text messages and smartphones, or hail a ride home with the touch of a button. But one area that still needs improvement is real estate, including the notoriously chaotic mortgage world where paperwork continues to be beyond burdensome in the digital age. Remember when MBA chief David Stevens claimed that the average mortgage file had grown to more than 500 pages? Well, hopefully the smart guys and gals up in Silicon Valley have a solution for that as well. In the meantime, a group of San Francisco-based tech disruptors (that’s the buzzword these days) have big plans to make selling your home a lot easier and faster. Note the word easy; nowhere on their one page website do they say highest price. Or anything to do with price for that matter. Just that you’ll receive an “instant offer” online and be able to close in 3 days. Wow. Simply put, they want to bring liquidity to real estate, similar I suppose to how stocks are bought and sold within milliseconds online. That’s the draw of buying stock. You can unload it whenever you want and get your hands on the cash for other needs with minimal delay. One of the major downsides to real estate as an investment (or in general) is that it’s extremely illiquid. If you own a piece of property and want to dispose of it, you’ll need to hire a real estate agent, create a listing, spruce up the place, let people tour the property, and hopefully land a suitable offer. The process, if you’re lucky, will only take a month. More realistically, it’ll take a few months from start to finish, barring the recent home buying frenzy that has probably given every homeowner unrealistic expectations on selling timelines. To be clear, Opendoor doesn’t plan to replace real estate agents or reinvent the entire process. They simply want to provide a quicker way to sell when you don’t have time to go through the entire process, whether because you’re relocating for a job or simply because you need capital this week, not three months from now. Perhaps you’re having trouble keeping up with mortgage payments and just want to avoid foreclosure. There are plenty of reasons why homeowners may want to sell immediately. Initially, they plan to launch in three markets outside of California (that’s all we know so far) and focus on single-family homes. The co-founder, Eric Wu of Trulia fame, told TechCrunch that they intend to focus on markets with limited demand that are less liquid. Put another way, they’ll buy your house for pennies on the dollar today for the convenience of selling it so quickly and easily. At least, that’s my take on it without knowing more of the essential details. Apparently there’s some algorithm that determines an appropriate selling price, similar to how Zillow provides you with a Zestimate. So far they’ve snagged $9.95 million in funding, though the lead is from Opendoor co-founder Keith Rabois of Khosla Ventures. 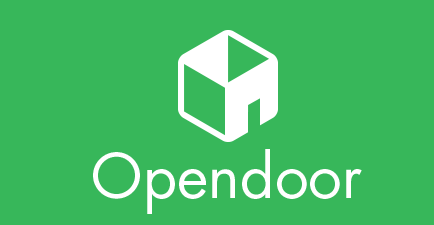 Other notable individuals involved with Opendoor include PayPal co-founder Max Levchin, former YouTube and Facebook CFO Gideon Yu, Yelp CEO Jeremy Stoppelman, and Facebook vice president Dan Rose. With that group of investors, it’s certainly going to get interesting in a hurry. I’ll keep you updated as more develops on this story. Opendoor basically takes the guess work and uncertainty out of selling a home by just agreeing to buy it from you for a certain market-driven price. Instead of having to list it, stage it, hold open houses, and wait and hope that it sells for the price you want/need, they’ll buy it for you in a matter of days. You can actually choose your closing date if you want to unload it at a later date, but it can come in handy if you need a quick sale, perhaps to avoid a contingent purchase. Or if you need cash fast from the sale of your home. You can request an offer and they’ll provide one that is good for five days. It can also be refreshed at any time. Assuming you accept, it will be subject to repairs that either you can make or leave up to Opendoor, which will ostensibly be deducted from your sales proceeds. However, they claim to save you money too, with the average service charge around 6.5% of the sales price versus a 7-10% cost if you go the traditional route. Of course, what’s the sale price in both scenarios? If they’re the same, great. If the one with Opendoor is significantly lower, the math changes quickly. But you do have to factor in some “cost” for the time and effort saved by not having to list yourself. If you happen to be a home buyer, you can purchase an Opendoor property. After all, if Opendoor is buying properties from home sellers, they’ve got to unload them on the other side. They provide some benefits to buyers as well, including the ability to view an Opendoor home via the Opendoor Homes mobile app. You can actually open the door so to speak by unlocking it with the app. Or at least getting the code to the lockbox. And each home is open daily from 6am to 9pm, so there’s always a convenient time to visit. Once you’re ready to make an offer, you can do so via the Opendoor app or their website, and it only takes 48 hours or so to hear back. They say it generally takes 20-30 days to close, similar to a traditional home purchase, and they require you to be pre-approved for a mortgage before making an offer. If you have a buying agent, you can use them and Opendoor will pay them a commission. But it might affect your sales price. Lastly, there’s a 30-day satisfaction guarantee if you don’t love your home, they’ll buy it back. Update: They also recently launched a trade-in program where you can sell your home and get a new one all through their company. Their hope is to offer their service nationwide by the year 2020. The company has since introduced a financing arm known as “Opendoor Mortgage” that provides financing for buyers of Opendoor homes. It’s only available in Arizona and Texas at the moment though. They claim to offer competitive mortgage rates and the ability to get pre-qualified in under 30 minutes. And if everything happens under one roof, they might be able to close faster. So it seems they’re trying to make it a one-stop shop, which makes sense because time is of the essence and you can’t have a third-party lender slowing things down. At the moment, they have a promotion where a buyer can get a so-called “ultimate mortgage.” I’m not exactly sure what that means, but it does come with 1% off the purchase price in the way of a credit for closing costs. This could make Opendoor Mortgage more competitive than other lenders assuming the mortgage rates and lender costs are comparable. In September 2018, Opendoor acquired Open Listings, a discount real estate brokerage that connects home buyers with local real estate agents. It’s different in that agents and their services are on-demand, as needed. So a home buyer can control as much or as little of the process as they wish. And in exchange for that hands-off approach, home buyers who use Open Listings get up to 50% of the typical buyer agent’s commission back. So instead of the typical 2.5% commission, only 1.25% is paid via the sales price and the other 1.25% is returned to the buyer either via reduced closing costs or via check in the mail. The company has already refunded over $8 million to homeowners whose collective purchases exceeded $1 billion. Open Listings was launched just three years ago in Los Angeles, part of Y Combinator, with a simple goal of making buying a home easier and more affordable. The merger aims to create an end-to-end solution for buying, selling, and trading in homes, the first of its kind in the industry. Read more: Is Google about to replace your real estate agent? is this available in Ocala, Florida?